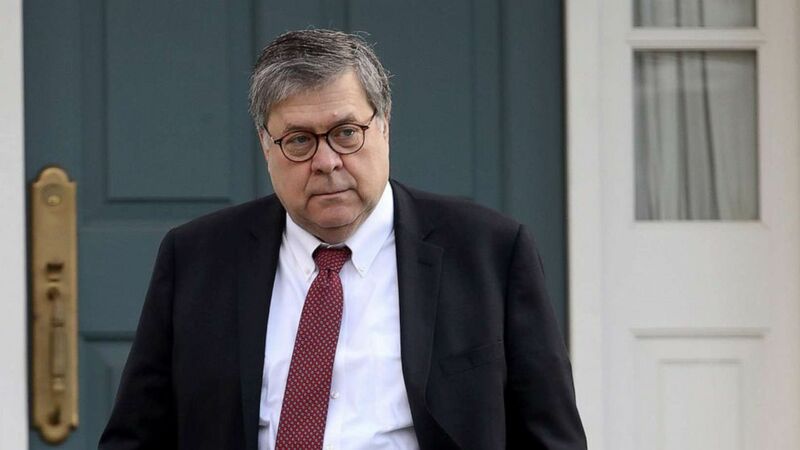 Attorney General William Barr will now review the report. 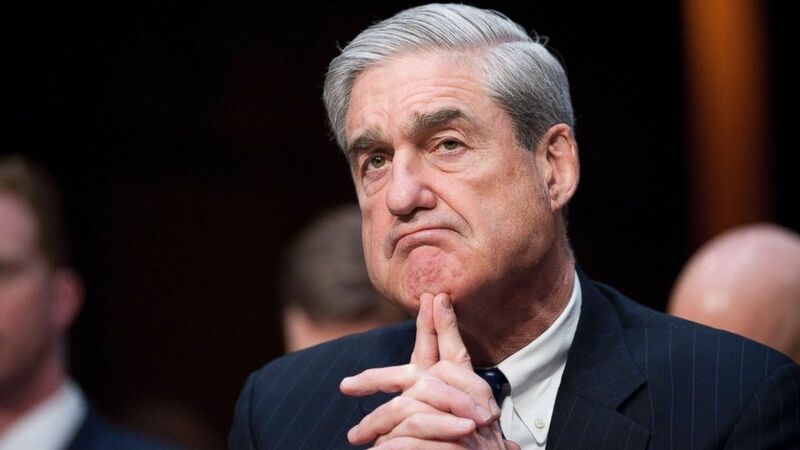 Special counsel Robert Mueller's much-anticipated report -- the product of nearly two years of investigation -- will not include any further indictments, according to a senior Department of Justice official. 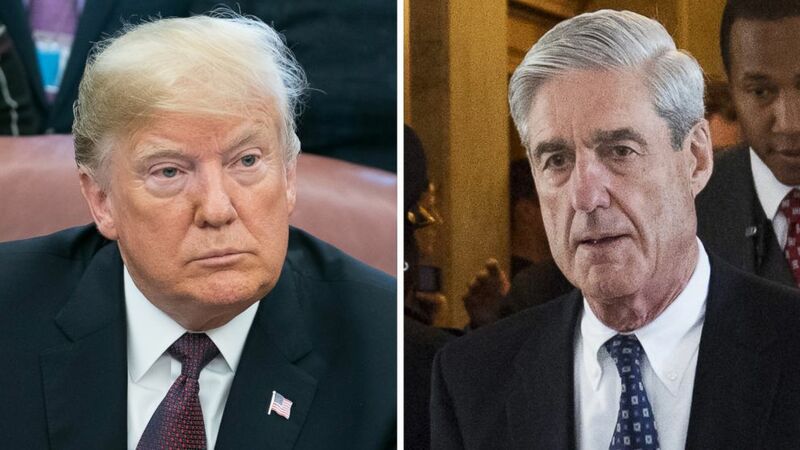 Sources who have spoken to President Donald Trump told ABC News that his initial reaction to Friday’s news was that he's “glad it’s over." Rudy Giuliani and Jay Sekulow, counselors to the president also said in a statement that they are "pleased" the report was delivered. 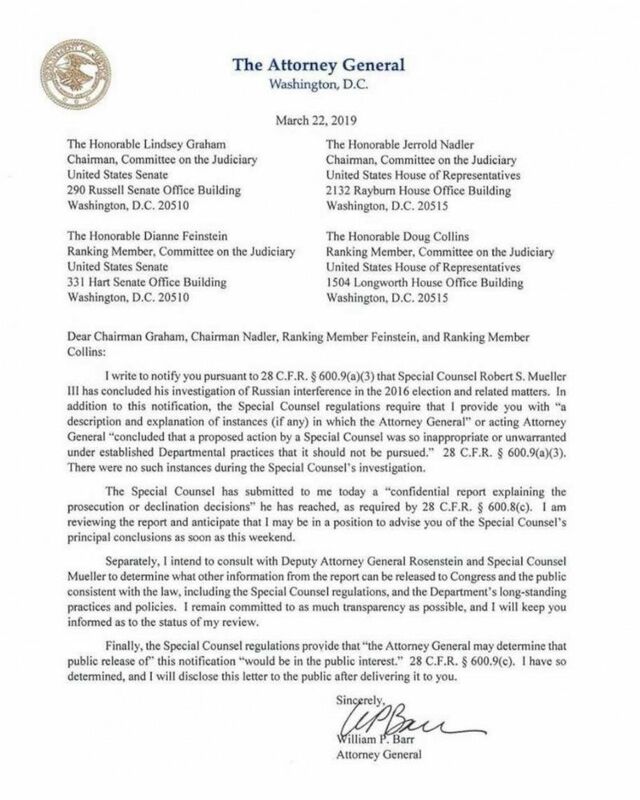 (U.S. Department of Justice) The Department of Justice notification to Congress regarding the conclusion of the Mueller Investigation, March 22, 2019. ABC News' John Santucci and Kyra Phillips contributed to this report.